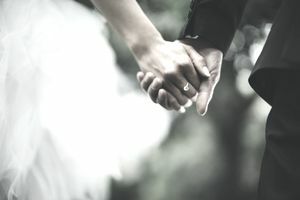 When to get married used to be more about the fairy tale pieces of the wedding but as you get older, it can feel more like a business decision. It can affect Social Security benefits, medical care, and could potentially result in a loss of certain benefits. Who knew that timing your marriage around your retirement could have financial implications? You only need to be married for 1 year for your spouse to collect Social Security spousal benefits but depending on your spouse’s age, it might be a good idea to not file just yet. Ideally, both you and your spouse should be at full retirement age before collects benefits—age 66 or 67 depending on your birthdates. If he or she applies prior to full retirement age, spousal benefit payments will be lower. What if you lost a spouse and you’re collecting benefits based on your late spouse’s work record? Depending on the particulars of the situation, you might lose those benefits if you remarry prior to age 60. If you wait until after age 60, your benefits won’t be affected. Also, if you receive SSI benefits, your spouse’s income and resources may change your SSI benefit, according to Social Security. If your first marriage lasted more than 10 years and you’re 62 or older, you might have received Social Security benefits based on your ex-spouse’s work record if your benefits were higher than using your own work record. When you get remarried, those benefits will probably end. You won’t be able to collect spousal benefits based on your new spouse’s records until 1 year after marriage so couples have to plan for a potential drop in income. If you are eligible for Medicaid but your future husband or wife is not, you may lose your eligibility after marriage. When determining eligibility, both yours and your future spouse’s income are looked at together. If your combined income is too high, neither of you are eligible. However, as long as you’re not married, your incomes are evaluated independently. If you have upcoming medical care that would be covered by Medicaid, it might be best to get it done prior to marriage. Also, consider long-term care. The average stay in a long-term care facility is 3 years at a cost of $200,000 to $300,000. Medicare only pays about 2 percent of the bill. If your spouse doesn’t have long-term care insurance and is unable to pay, that burden may fall on you. Before getting married, make sure that your combined finances can support long-term care insurance for both of you, especially if your combined income doesn’t allow for payment of those bills on your own. An increasing amount of people are reaching retirement with a shortfall in retirement funds along with a significant debt burden. One study found that despite people ages 62-66 being in the highest earning years of their lives, their debt-to-income ratio has risen from 0.01 in 1998 to 0.26 in 2014. The study concluded that rising debt among pre-retirees and retirees may cause increases in elder bankruptcy. When a person passes away with debt, the surviving spouse generally will not assume that debt but some exceptions apply—if the spouse is a joint account holder on a credit card, a co-signer on a loan, and in certain cases if the state is a community property state. But while both partners are living, those debts payments become the responsibility of both spouses. Increasingly, couples are choosing to forego marriage until each can pay down crippling debt. This allows each to enter the marriage with a clean financial slate. The question of when to get married can feel kind of sterile later in life. Real-world financial planning issues can make retirement and wedding planning intertwine in complicated ways. An increasing number of couples now choose to cohabitate instead of marrying to avoid tax and Social Security pitfalls that come with post-retirement marriage. However, cohabitating has its own list of implications. As always, complicated money decisions are best made with the help of a financial planner who can look at both potential spouses’ financial picture and make recommendations of when to get married If that is the couple’s wishes. Now That You Retired, Should You Return Back to Work? How Much Retirement Savings Should You Have Right Now? How Much Do You Need to Save to Retire By 40? FIRE: Does This Early Retirement Movement Make Sense for You?